Our June 2016 CWHV Conference, held at the Hampton Inn & Suites, was a wonderful success with knowledgeable and friendly presenters and a full house of excited writers. Sylvie Frank, Editor, Paula Wiseman Books, started the morning with our first picture book session. Attendees learned about “cubing.” Describe the topic, compare it, associate it, analyze it, apply it, and argue for or against it. The writing exercise involved using “cubing.” Remember your stories need conflict and tension, for example, in LITTLE RED RIDING HOOD, the mother says, “Don’t stray from the path,” that line gives the story tension. Kelsey Horton, Assistant Editor, HarperCollins Publishers, ran a novel session. The opening topic was how a book makes you feel emotionally, using a sports reference, we have: pregame, start of the game, close game, bottom of the ninth, win or lose. The reader is on an emotional roller coaster. The structure of a novel starts with stasis, then the trigger, the quest with obstacles, a surprise, a critical choice, the climax, reversal and closure. The writing exercise was writing an elevator pitch. After a delicious Panera’s lunch, we had free time to network with conference friends and faculty and visit the bookstore, courtesy of Merritt Books. Emma Ledbetter, Editor, Atheneum Books for Young Readers led the second picture book session. She used I DON’T LIKE KOALA by Sean Ferrell to explain pacing a picture book and the placement of art and text. Paper, tape and scissors were passed out and attendees made a book dummy using their own manuscripts. Matt Ringler, Senior Editor, Scholastic, hosted the afternoon novel session on character development. One exercise involved making a postcard bio. List name, occupation, birthplace, job title or position, wants, likes, challenges, obstacles, and a defining moment for your character. After creating two different characters, the writing exercise was to put them in the same scene. Stand out line: A memorable character is there when you need him, right time, right place. Our closing speaker was Gail Carson Levine, a novelist and a Newbery Honor award winner. Gail describes herself as a “pantzer.” She keeps files of ideas, notes and cut material from manuscripts; doesn’t use outlines and uses fairy tales to help her write. She prefers to end her chapters with her characters reacting to the cliff hanger. For character development, she starts with an idea of what kind of character could (blank) or couldn’t (blank) to further her plot. 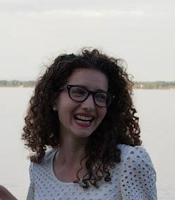 Our good news: Tracy Marchini, a freelance editor, co-founder of CWHV, a former committee member and critiquer for our June conferences has recently signed with BookEnds Literary Agency http://bookendsliterary.com/ as a literary agent. Tracy is passionate about books, publishing and has already signed her first client! Congrats! She is actively seeking submissions. Thanks to our presenters, Merritt Books, Panera, the CWHV committee and our enthusiastic attendees for another successful conference. "This was my first year at the conference, and I LOVED it! I think both the picture book sessions were helpful, well-organized, and inspiring. Both editors were knowledgeable, approachable, and energetic. Loved them!" Jamie Rabideau, 2016 attendee. "Excellent novel workshops with both editors in the Hudson Room. The writing exercises in those workshops helped uncork some writing energy in me that has been seriously lagging lately. Fantastic, real-writer-process talk by Gail Carson Levine. Loved her energy and her honest struggles with what it takes to get a novel into publishable shape, which we can all relate to, of course." Alison Formento, 2016 attendee.